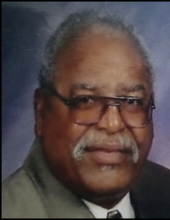 AIKEN - Mr. Willie Everette Williams, Jr., age 71, passed away Wednesday, September 25, 2018 at Edgefield County Hospital. With Rev. Donald Brooks, officiating. Friends may call the residence of his daughter, Teresa Hammond, 200 Williams Lane, Aiken, SC 29801 or JACKSON-BROOKS FUNERAL HOME, 126 Fairfield Street, SE, Aiken, SC 29801, 803 649 6123 beginning 3 PM Thursday. To send flowers or a remembrance gift to the family of William Everette Williams Jr, please visit our Tribute Store. "Email Address" would like to share the life celebration of William Everette Williams Jr. Click on the "link" to go to share a favorite memory or leave a condolence message for the family.